Good Monday to you all! This was a great weekend, as we took my son to his first ever Halloween parade. Ok so I know he's 3.5 years old but he is finally loving the Halloween excitement. 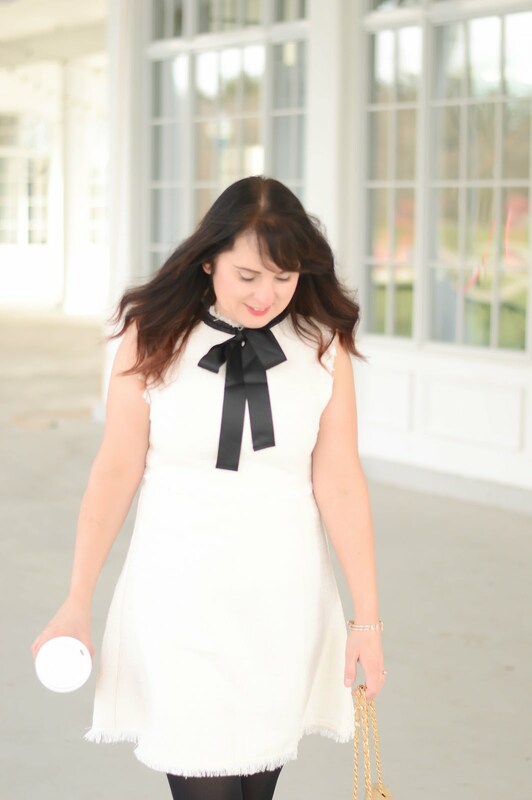 I also realize this look is not Halloween related in the least but this Karina Dress is newest go-to dress for work. 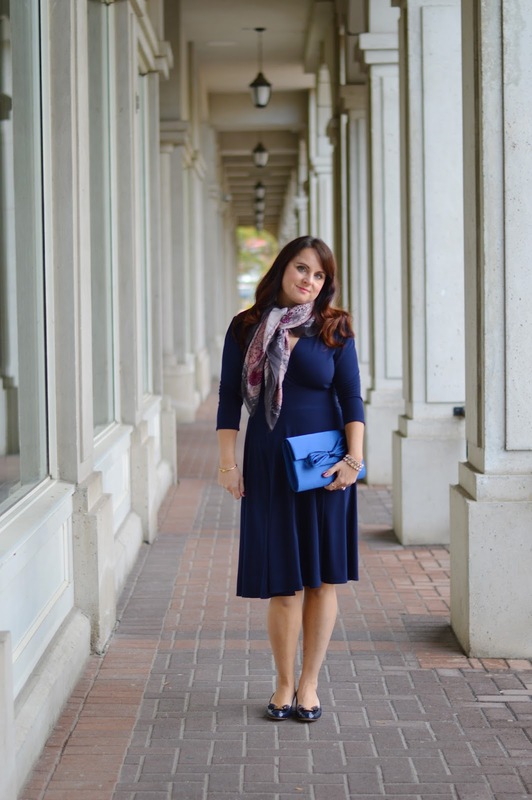 The classic navy wrap style is so slimming, and as always with Karina the fabric is light weight and so comfortable to wear. You can shop my Karina Maggie dress here.